(Chris Woollams) This article goes in depth into the Ketogenic diet – a diet of low or no glucose, high ´good fat´ and low protein, which is claimed to have the potential to manage even advanced cancer cases. Preliminary research shows it can stop cancer progression, inhibit metastases and kill off cancer cells. But, research to date is restricted mainly to animal studies and also with brain cancer. Human trials have now started, but according to Seyfried himself, there are still some unknowns. Let´s be clear. All cells burn glucose. However, while healthy cells are flexible and can burn alternatives like ketone bodies from fat (formed in a process called ketosis), cancer cells are inflexible and derive their energy from a fermentation process which uses glucose as the primary fuel. Glutamine, an amino acid, broken down by cancer cells into glutamate, can be another energy source. Several cancers seem particularly ´responsive´ to glucose, for example, brain tumours and colorectal cancers. To date, other cancers seem to vary. * For example, with brain cells, high plasma glucose levels has been linked to some cases of Dementia; and a ketogenic diet has been used for quite some time with success in cases of child Epilepsy. A product (high fat, lowish protein, very low carbs) called KetoCal was developed a number of years ago for just such cases. And, in research, healthy brain cells seem more ready to adapt to ketosis. * For example, Johns Hopkins showed that restricting sugar in colorectal cancer increased survival. However, again this may be due to a particular property of those cancer cells – researchers from Copenhagen have shown that colorectal cancer cells have a specific enzyme that attaches itself to sugar molecules; and healthy cells don´t have this. Much work has been done on the Ketogenic Diet by Seyfried and D´Agostino. Professor Thomas Seyfried of Boston College is a biologist and, after years of extensive research, Seyfried fervently believes cancer is a metabolic disease, not a genetic one. Dr. Dominic D´Agostino Assistant Professor at South Florida University concurs. 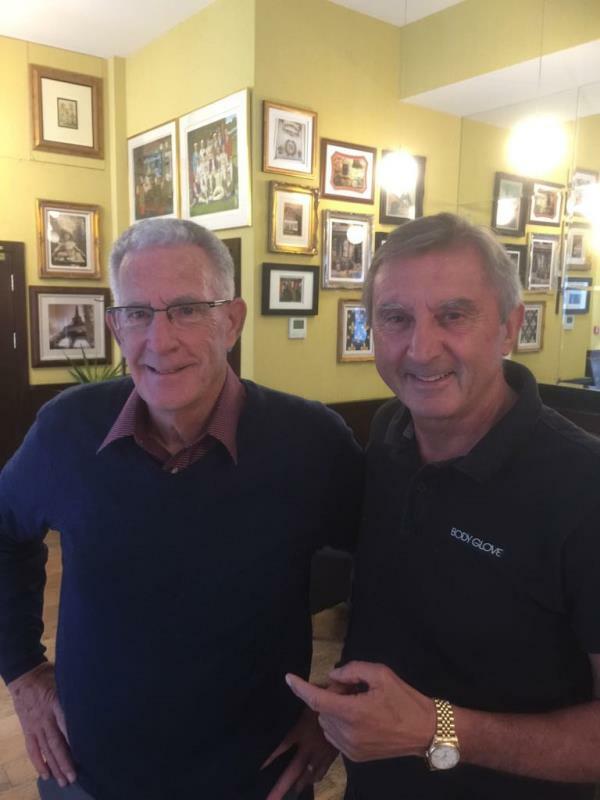 Both have been involved with treating patients with advanced cancer successfully using a ketogenic diet. Seyfried was also part of a team that showed the Ketogenic Diet effects could be enhanced by Hyperbaric Oxygen. 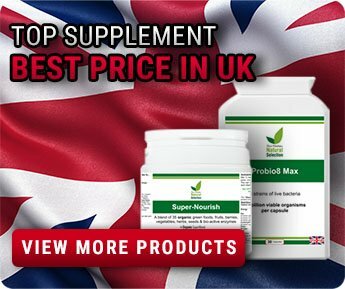 In the UK, a Charity called Mathew´s Friends offers expert advice on the diet in relation to brain cancer. The big question is, “Is it applicable to cancers other than brain and colorectal?” In conversations between CANCERactive´s Chris Woollams and Professor Seyfried, he sees no reason why not but freely admits there is work to do and the biochemistry is complex. The typical ketogenic diet derives its energy 90% from fat, but only 2% from carbohydrates and 8% from protein in order to limit both the glucose and the glutamine. The Ketogenic Diet has received great interest since we first wrote about it in 2006; here we look into it in more detail (Chris Woollams). Cancer cells love glucose – it is essential to their survival. 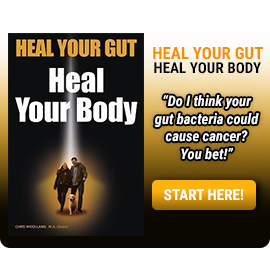 i) The fundamental tenet of the Ketogenic Diet is that cancer cells need to ferment to survive. And to do this they must consume glucose. While healthy cells can switch to burning ketone bodies produced from fat if there is insufficient glucose available, cancer cells are inflexible and the theory is that if there´s no glucose available, they wither and die. Finally, cancer cells have defective mitochondria. According to the Ketogenic experts, energy metabolism leads to the production of harmful ´reactive oxygen species´. Glucose is essential to destroying these. Without glucose, they kill the cell. * One study in the Journal of Clinical Investigation (Jan 2, 2014 – CLICK HERE) concluded that increased glucose uptake CAUSED cancer. iv) There is increasing evidence that fasting (using a 3 to 5-day water only fast) can increase any cancer survival – because it reduces plasma glucose levels, and those of the hormones IGF-1 and insulin, both implicated in cancer development. Fasting also restricts glutamine levels, reducing glutamate, which is another energy source for cancer. Fasting increases plasma levels of ketone bodies to protect healthy cells so they don´t starve. And fasting boosts the immune system. v) A ketogenic diet, which limits carbohydrate and protein consumption, but allows people to eat healthy fats, overcomes the need to fast while enhancing ketosis in the body. There is even a ´food´ made to a Ketogenic formula, and called KetoCal, for the people who don´t want to fast. The Ketogenic Diet is an extreme diet. Frankly, there is so much research evidence on the colorful Mediterranean Diet both preventing cancer and increasing survival, one wonders why this halfway house is simply not adopted by everyone who wants to beat cancer as a ´first step´. The Ketogenic Diet does prompt good weight loss in overweight people and has been researched as a way of reducing weight better than low fat or low carb diets. However, over time, the same loss of weight is also delivered by a colorful Mediterranean Diet – see here. In conversations with Seyfried, he is quite clear that it is best to plump for ´good´ fats like those promoted in the Rainbow Diet – Extra Virgin Olive Oil, avocado and avocado oil, oily fish and fish oil, nuts like walnuts and almonds, seeds like pumpkin and sunflower. And what about coconut oil? “No. It´s just saturated fat. It will result in terrible inflammation,” said Seyfried, laughing. Seyfried agrees totally with my views on the 90% saturated fat dangers of coconut oil. If you want a high flash point oil for cooking, choose avocado oil. Firstly, in our experience with patients at CANCERactive, many people find the Ketogenic Diet far too restrictive. They give up. Secondly, many people think they are on a Ketogenic Diet but are not. One Professor with cancer who came to me for a Personal Prescription, recently told me that he was on a Ketogenic Diet: “60% of my calories are from fat!” A true Ketogenic diet demands 90%. Another, Andrew Scarborough, who beat his glioma, has a website headed, ´Eat meat, drink water´. This is not a Ketogenic Diet – it is an Atkin´s Diet. There is little doubt that brain cancer and colorectal cancer are particularly responsive to glucose. But, what other cancers have evidence for this sugar dominance? Breast, ovarian and prostate, for example, are more ´hormonally-driven´. And what of blood and lymph cancers? Seyfried is clear on those. They don´t respond to a Ketogenic diet. At the moment. “We still don´t know enough about the biochemistry”. Furthermore, it would seem that cancer can, in low sugar conditions, turn to glutamine as a primary fuel; and this turns to glutamate in the energy production system. 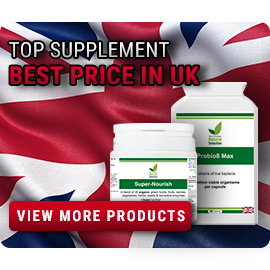 Glutamine is readily available all over the body, but especially in nerves and muscle tissue. Not fully explained by any means as yet, these cancers can start to spread aggressively simply by attacking adjacent cells and using the glutamine/glutamate stores. Indeed, glutamate can be made in the body from glutamine, folic acid and glucose, amongst other sources. Glutamine is an amino acid, one of the building blocks of protein. And this is why the Ketogenic Diet restricts protein consumption. ut you can see how complex this is, already. Glutamate is known to fuel a cancer ´feeding pump´ and spread metastases. Indeed several research studies have focussed on ´normalising´ cancer cells by blocking the pump. If you are restricting glucose, the Keto theory runs that it is also a good idea to restrict protein as it is a source of glutamine. 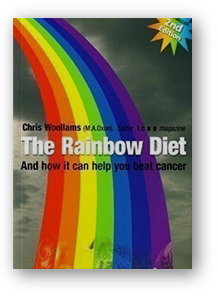 But we do this anyway in the Rainbow Diet, which is itself flexible, used in different forms for different cancers and much easier for patients to handle. Protein anyway stimulates the mTOR pathway which can drive cancer. So, this is a lot more complicated than just restricting glucose. Cutting your protein to only 8% of calories so you restrict glutamine to cancer cells is rather like telling all the sailors on a sinking Aircraft Carrier to throw their hats overboard to save the ship. There is so much glutamine already in your body, it is hard to imagine how you could possibly restrict it, unless you turned to the almost vegetarian form of the Rainbow Diet for at least several months – which we do advocate for some people with cancer. We are not being negative – it´s our job to provide you with honest objectivity. While Seyfried and associates advocate the Ketogenic Diet not just for brain cancer but all cancers – see here – the late Dr. Nicholas Gonzalez wrote an 8 page summary debunking the theory in practice – see here. We certainly see – for example breast cancer patients and prostate cancer patients struggling with the Ketogenic Diet. We see this working in practice across a whole range of cancers. And people with cancer find this far easier to follow. 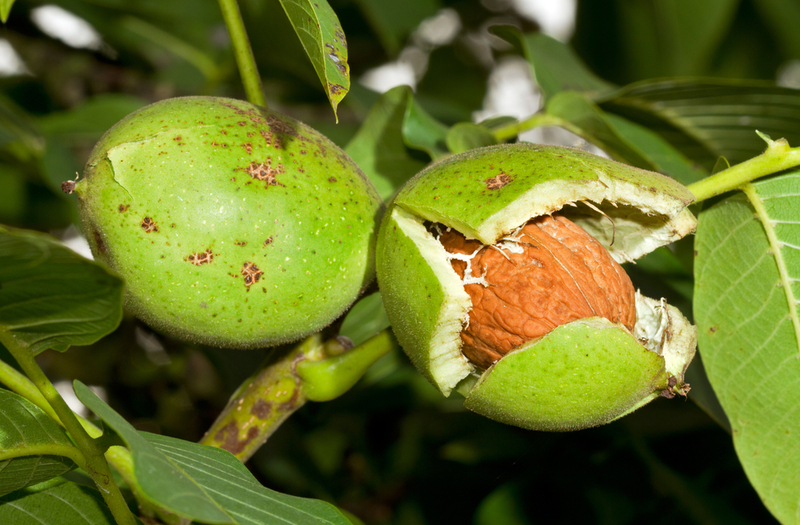 Finally, what about foods that have definite anti-cancer properties? 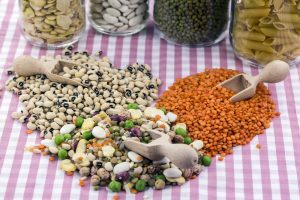 For example, the use of pulses is excellent in hormonally driven cancers, yet almost banned in the Keto Diet; the use of colourful but starchy vegetables like beetroot and carrots, and sweet fruits like pomegranate, yield cancer fighting anthocyanin, polyphenols and carotenoids. How does a patient get these in volume in a Keto diet? 1. A 2017 pilot study on the Ketogenic Diet with 16 patients who had metastatic cancer with no treatment options, saw only 5 complete the 3 month trial, and 2 die early(1). The researchers however concluded it was well tolerated. 2. A 2018 study – a Ketogenic Diet prevented tumour progression and cachexia in mice given colorectal cancer(2). What does the Ketogenic Diet involve? While calorie restriction may have benefits against cancer, when you next have a meal, glucose, insulin, IGF-1 and glutamine levels all spike. This causes mood swings, cellular inflammation and may refuel the cancer cells. Complete fasting (3-5 days) can prevent this. Fasting induces a state of ketosis in the body, where flexible healthy cells deprived of glucose switch to a fat burning system. But cancer cells do not have this flexibility, and so they starve to death. 1. Eat no carbohydrates other than non-starchy vegetables – definitely consume no glucose or high fructose corn syrup (think fizzy soft drinks). 3. 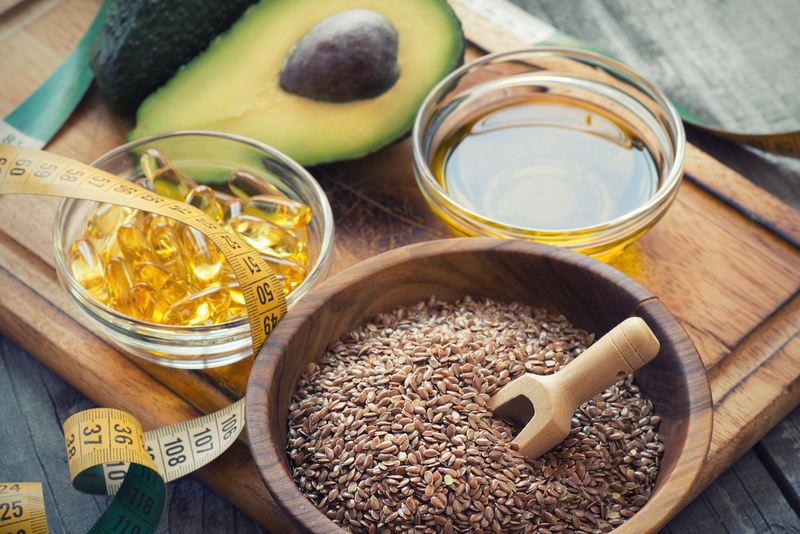 Consume good fats – like extra virgin olive oil, fish oils, flaxseed, walnut, macadamia and other nuts and seeds, and avocados. Eat no ´bad´ trans fats and no cows´ dairy, unless raw and from grass fed cows; even then in moderation. 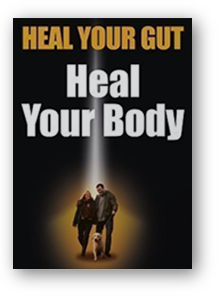 The theory is that after 24 hours, this maximizes the state of ketosis, reduces the drivers of cancer and can starve cancer cells out of existence. Clinical trials are taking place in America on the Ketogenic Diet and on the use of calorie restriction and fasts whilst having Chemotherapy and radiotherapy. It´s a hot topic. A “Ketogenic Diet alone significantly decreased blood glucose, slowed tumour progression and increased mean survival time by 56.7% in mice with systemic metastatic cancer. While Hyperbaric Oxygen Therapy alone did not influence cancer progression, combining the Ketogenic Diet with Hyperbaric Oxygen elicited a significant decrease in blood glucose, tumour growth rate and a 77% increase in mean survival times compared to the controls (Ref: PLOS One). We have been telling you for more than a decade about the increasing amount of important research on the Ketogenic Diet. The world experts are undoubtedly Dr Dominic D´Agostino of the Dept. of Molecular Pharmacology and Physiology, South Florida and Thomas N Seyfried, Professor of Biology at the Boston College. The diet needs to be done under strict supervision by a competent professional (a nutritional therapist trained in the Ketogenic Diet). Readers may also like to read the articles on Calorie Restriction, and on Fasting and Cancer. The links are provided at the end of the article. Carbohydrates, especially refined carbohydrates, glucose, fizzy soft drinks, high fructose corn syrup, high glycemic index foods should all be avoided. Remember, even honey is 50 per cent glucose and fructose! The Ketogenic diet involves the use of only non-starchy carbs from plants. 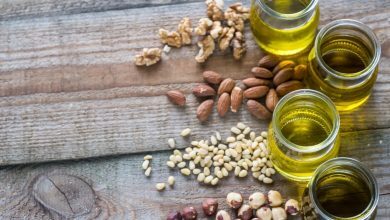 The diet focuses on ´good fats´ like extra virgin olive oil, flaxseed oil, and those of raw nuts and seeds, avocado and eggs. Whilst ´bad´ fats like trans fats, coconut oil and cows´ dairy are to be avoided. More than 70 per cent of calorie consumption in the cancer diet comes from ´good´ fats. Protein consumption should be only light to moderate; and it should be from quality natural, fresh protein sources (pulses, fish, chicken), not dried meats and the like which can have added carbohydrate. High protein consumption can increase glutamine levels, the cancer cells reserve fuel when glucose levels have depleted. Healthy, normal cells have ´flexibility´ and can use carbohydrates (like glucose) or ketones (produced by the metabolism of the fats) as a fuel source. Cancer cells do not have this flexibility. They can only use glucose. In certain circumstances they may be able to use glutamine. By and large, without glucose they starve and die. Dr. Dominic D´Agostino and researchers from the University of South Florida Medical School showed in 2012 with animal studies, that animals with metastatic cancer can survive better using a carbohydrate-free diet than those on chemotherapy! Dr. D´Agostino refutes that such a high fat diet can be bad for your heart describing it as a myth. In his research, the consumption of good fats linked to a fall in levels of HDL and bad fats circulating in the body. In the last 30 months he claims he has spoken to many cancer survivors who had previously been ´written off´, with no further orthodox treatment available. He is convinced that the Ketogenic Diet is a viable anti-cancer diet. D´Agostino believes that calorie restriction, fasting and particularly, the Ketogenic Diet offer patients the opportunity to control and restrict blood levels of important drivers of cancer – glucose, IGF-1, insulin, protein, glutamine. The inflexibility of cancer cells is their downfall. First, a slight digression. In 2012 the National Cancer Institute in America conducted research (Cancer Watch) into what foods could restrict a cancer tumour´s regrowth. This followed the confirmation that at the heart of most tumours were cancer stem cells (Cancer Watch) and, currently, no drugs were available to kill them off. At CANCERactive we firmly believe in using an anti-cancer diet as part of your Integrated Cancer Treatment Programme. Diets can fulfil several aims. 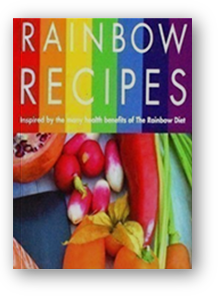 The Rainbow Diet, where you incorporate a plethora of colourful foods into your diet, along with, for example, oily fish and sunshine to provide a nutritionally nourishing diet which includes highly ´bioactive´ compounds, these being both protective and corrective of cancer, fits totally with the NCI research that bioactive compounds like those in sulforaphanes, curcumin, piperine, theanine and choline plus vitamins A and D, genistein, and EGCG from green tea. 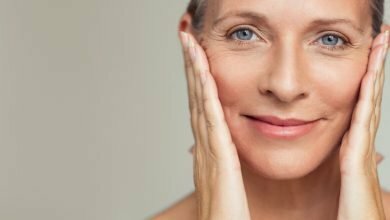 The idea that about 50 or 60 bioactive compounds can Correct, not just Protect, fits with the rapidly developing Science of Epigenetics, which has proven that the term ´mutation´ is often used somewhat incorrectly to include changes in the methylation and acetylation around the core genetic code. These changes cause blockages and a loss of crucial messages but are reversible. In effect, cancer is a metabolic disease, not a genetic one. It can be reversed. The American Cancer Society in 2012 issued a report endorsed by the NCI stating that there had been an ´explosion´ in research into complementary therapies since 2006, and that there was overwhelming evidence that diet, weight control and exercise could increase survival and prevent a cancer returning. In 1924, Warburg (who went on to win a Nobel Prize) wrote ´On Metabolism of Glucose´ where he suggested that the prime cause of cancer was the replacement of the normal respiration of oxygen in healthy cells by the fermentation of glucose. But it´s not that simple. When glucose is absent, cancer cells seem able to use glutamine, an amino acid in protein, as a reserve energy source. Indeed, some researchers think that some cancer cells are also ´addicted to glutamine´ (Click here for a review), which seems to support proliferation and survival. Indeed in certain cases of hypoxia (oxygen starvation) glutamine seems to drive the cancer, although this may not be the case for all cancers. 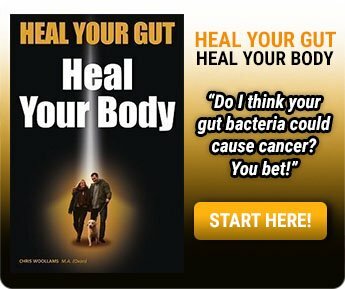 Johns Hopkins have researched colon cancer and a glucose restricted diet ´Colon cancer may yield to cellular sugar starvation (Click Here). Meanwhile brain tumours seem to thrive on glucose, but can also use glutamine (Click Here). The Rainbow Diet – better than the Ketogenic Diet? The Rainbow diet is about being SENSIBLE about sugar. Natural plant sugars are bound to be consumed. But added, empty calorie, sugar is not. 6 meals a day are eaten as a minimum. Such ´grazing´ and a lack of commonglucose and High Fructose Corn Syrup from fizzy soft drinks, no cakes, biscuits, chocolate, ice cream and so on, is sensible eating. 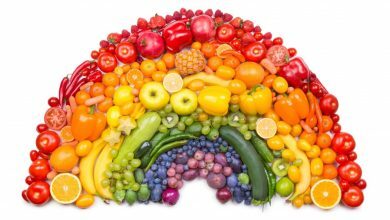 But the strength of the Rainbow Diet is What You Eat – not what you leave out – the diet uses a host of epigenetic bioactive compounds – primarily the pigments in fruit and vegetables, to protect and correct. When it comes to fat, research from the VITAL study (Cancer Watch; November 2012) from the Fred Hutchinson Cancer Centre in Seattle showed that bad fats could drive the recurrence of breast cancer while fish oils could prevent it. Research in the Oncologist. (2013;18(1):97-103; Champ et al – click here) showed that Calorie Restriction may well improve survival times for those undergoing radiotherapy and even chemotherapy, and clinical trials are planned. Researchers Seefried and Mukherjee from the Biology Department of Boston College first proposed in 2005 that brain tumour cells were inflexible in that they could use glucose but not ketones as an energy source, unlike flexible healthy cells which could use either. They argued that metabolic therapy was the way forward as little progress had been made with drugs for five decades. Researchers from Ohio State University Cancer Center showed that a molecule miR-451 switches off in the absence of glucose and shuts down ´the engine of the tumour´ but causes the brain tumour to grown and spread where there is an abundance of glucose. In 2009 researchers discovered that insulin resistance was linked to breast cancer. Where women had higher levels of blood glucose as a result, their breast cancer risk increased 1.7 times (Cancer Watch; Click Here). In research by Elizabeth Maher et al March 2012, NMR in Biomedicine, the conclusion reached was that glucose was essential to a brain tumour but other sources from inside the cell, like glutamine, may also provide ´reserve´ energy. Despite all this, all too often patients are given foods like ice cream, sugary tea, sugared buns and Ribena whilst lying in their post-operation beds. This is crazy. In fact, ten years ago I talked to Catherine´s oncologists about starving the brain of glucose. They actually laughed. Katie Sheen, a nutritional therapist and lecturer at the University of Worcester, became interested in eating to combat cancer 10 years ago when her brother-in-law was diagnosed with a low grade astrocytoma. He and his family launched Astro Fund, the only charity in the UK to focus on low grade glioma research. Says Katie, “My brother-in-law saw that the astrocytoma is such a perversely beautiful cell: it looks like a starburst. So that´s how the charity was named; he wanted it to be a light in the darkness”. “Basically its the antithesis of what you´d imagine.” says Katie. “It´s a very high fat, calorie-restricted diet (whipped cream and animal fats permitted), with adequate protein and very low carbs. There are variations (MCT, Modified Atkins, which you can read about on the website Matthews Friends). But the whole point of the diet is that it put the body into ketosis. That´s the state the human body goes into under starvation, when it burns fat for energy. Healthy brain cells can use ketones for energy but a brain tumour can only use glucose“. Says Katie, “It´s such an incredibly simply metabolic approach: you starve the tumour of sugar”. “Now”, says Katie, “a research group led by Adrienne Scheck in Arizona is doing experimental work on a glioma mouse model and getting very good results so we hope to be able to get a phase I clinical trial under way in the UK soon, to build on promising results from a German trial which has just published. 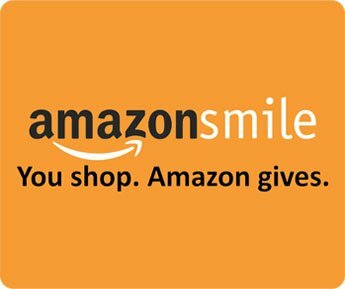 (www.astrofund.org.uk)”. There can be little doubt that researchers in America are on to something. The inflexibility of cancer cells to use anything other than glucose (and high fructose corn syrup), apart from possibly glutamine, seems clear. Calorie restriction is being researched in America in Clinical Trials as it seems to help the cause of Chemotherapy and Radiotherapy. Glucose plasma levels seem inversely linked to survival – the more you have the worse your survival. While outright fasting seems to control the spike of glucose, IGF-1 and insulin better than calorie restriction, 70 per cent of patients aren´t interested. So maybe using a diet which has non-starchy plant carbohydrates, good oils and fats and a little quality protein makes it more tolerable, while having even more benefits. 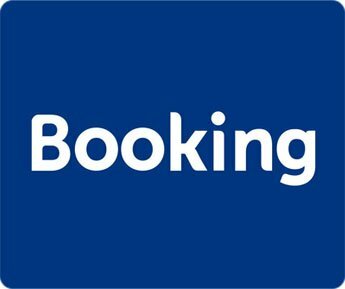 It is interesting to note that D´Agostino believes in the addition of three sessions a week of Hyperbaric Oxygen. This is all becoming very interesting. Of course, there are some that would argue that you should still incorporate bioactive food compounds that are known to attack the various cancer stages (the Rainbow Diet; The NCI bioactive compounds ´that can be taken as supplements´ according to researchers. There are even those who might argue that this is all getting closer and closer to the principles behind the controversial Gerson therapy. We will be interested to see the results of the clinical trials.